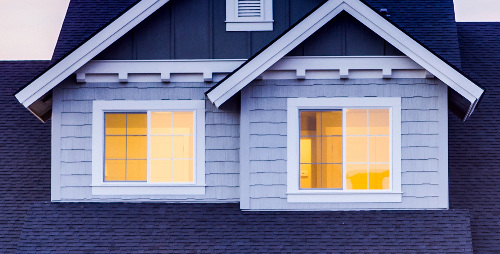 Inspecting Your Home's Windows - JA Edwards of America, Inc. Whether you’re buying a home, selling a home, or planning to remain in your Orlando area home for a long time to come, it pays to think like a home inspector. Buyers who know what to look for as they tour a house on the market can save a lot of headache and avoid some surprises after an offer has been made. Home sellers can take care of issues before they become a potential source of trouble when a deal is happening. And homeowners who want to maximize the life of their home investment can use an inspector’s eye when keeping up with the regular maintenance that every home requires. We’ve shared a lot of information about roof maintenance and repair, but here at J. A. Edwards America we can also help with windows and siding. This month, we’ll cast an inspector’s eye on windows. The muntin and mullion (bars separating panes of glass) glazing compound should be in good condition. For older windows that have gotten a lot of weather exposure, this issue is of particular concern. As the compound breaks down and breaks apart, your windows are less efficient and are open to more damage from the elements. All of the wood frames and trim pieces should be in good shape. Pieces that are not securely attached raise red flags. Cracks are also a problem, as they allow entry points for pests and potential water damage. In a humid environment like Orlando, rot and decay are always problems. If the wood feels soft or spongy, it could be a much deeper issue. With enough time left unchecked, any of these issues could mean a complete window replacement. As with any joints anywhere on the exterior of your home, they should be sealed. Make sure to caulk any open joints. Making the job neat and tidy (sometimes a challenge with caulk) will improve the first-glance appearance of your home. When dealing with a feature that is made largely of glass, the potential for breaks increases dramatically. Your windows should not contain any broken panes. If your windows are double-paned, make sure that the seal between the pane is not broken. If so, the insulating capacity is reduced and the glass on the interior of the two panes can start to look foggy. Screens should also be damage-free, with no loose splines or tears to the mesh. If you decide that you need to replace you windows, or if your windows have been damaged in a storm, contact us at J. A. Edwards America.